Sensi #11 fem (Blueberry x Afghani x Silver Haze) – Delicata, fruttata, terrosa, ravvivata da una sorprendente esplosione cerebrale di haze. Acquista ora. What’s not to love? In terms of effect, it’s the sativa side that dominates this cross. SENSI #11 FEM has been carefully curated so that the Silver Haze isn’t overwhelmed by the Afghani genetics. The latter does provide a heavier yield, shorter plants and a quicker growth cycle than most sativa-dominant strains and bringing all the fruit, is the now-legendary Blueberry. Silver Haze is one of the grandmothers of modern sativa cannabis strains. Tall, slender, and with a pleasing yield, Silver Haze was revolutionary when it was first launched and still has a great deal to offer to growers today. On the other end of the indica-sativa spectrum, our Afghani #1 is an old-school, earthy indica with a compact stature and short flowering time. Somewhere in between, the Blueberry delivers delicious bursts of fruity flavours. Plus, it’s feminized. Sensi #11 Feminized is a is a feminized strain, which will only produce plants that flower as females.. The Sensi #11 Feminized strain has large proportion of Sativa genes in its background. Sensi #11 Feminized will need an average flowering time to reach their full potential. Sensi #11 Feminized will grow substantially during the flowering phase. Sensi #11 Feminized can be grown outside in a warm, sunny climate with a long summer. Sensi #11 Feminized Seeds is added to your shoppingcart! 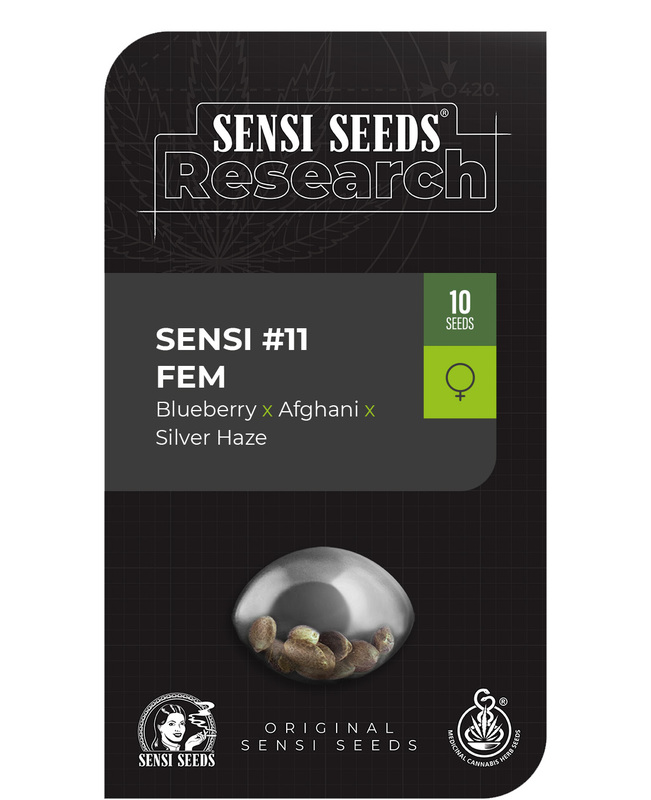 Sensi #11 Feminized Seeds is added to your wishlist!